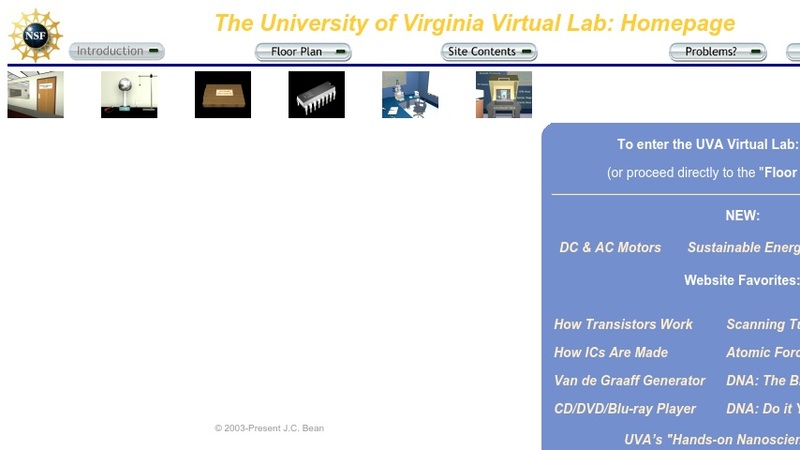 The University of Virginia Virtual Science Lab uses leading-edge visualization software to depict science and technology affecting our daily lives. This software allows us to climb inside objects, to see fields and forces, or to zoom in on things as tiny as atoms or electrons. The lab includes topics such as electricity and magnetism, electrical circuits, microelectronics, scientific instruments, semiconductors, and nanoscience.